According to SkillsUSA, there are 5.6 million unfilled skilled jobs today – 75% of which don’t require a four-year degree. Yet 75% of respondents to a Harris Poll say that schools are failing to provide adequate education. Who can provide this training? You can! 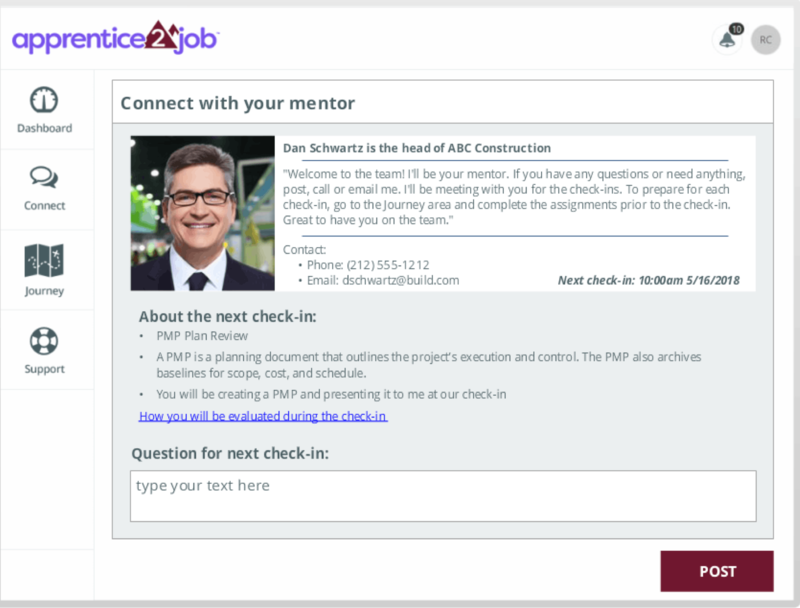 Apprentice2job offers unique features that your members need to create their workforce. Screening system – applicants complete an online survey, which compares their profile to the ideal apprenticeship candidate to help with the hiring decision for that job. Tailored learning journey – after hire, A2J delivers just the right amount of training, for the specific job, at just the right time. 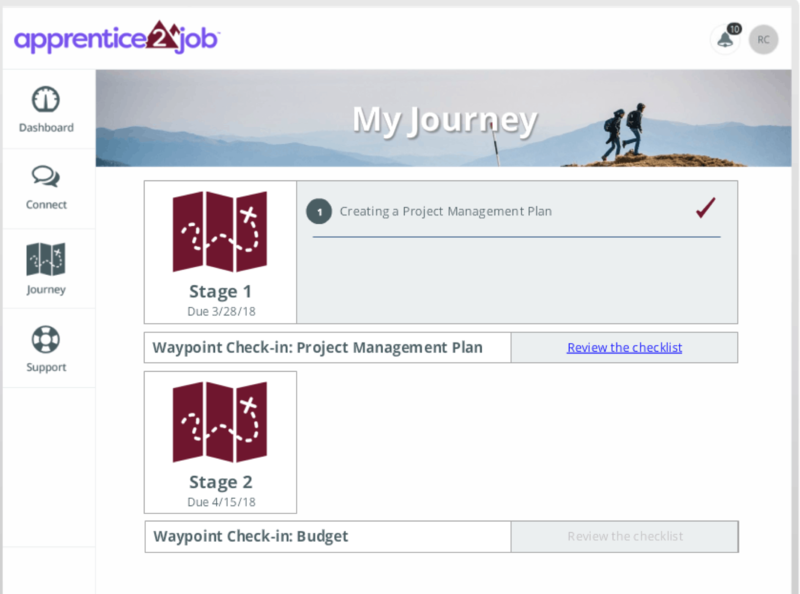 Waypoint check-ins – checklist rubrics help mentors easily coach and assess apprentice progress. Remediate – the mentor scorecard automatically delivers remedial training recommendations, as well as tracks apprentice performance. Unlike traditional learning platforms, Apprentice2job helps identify the most qualified apprentice candidates. Once hired, the subscription service delivers a consistent learning journey – for the apprentice and the mentor – with scheduled check-ins, communications and reporting. Just give us a call! Digitec’s team of instructional designers will collaborate with you to create a competency based learning journey for your particular job. We’ll follow a set process to come up with the right mix of learning resources and checklists to create just the right kind of employee. Once the journey is created, you can offer the subscription product to all your members, who need that apprentice. You’ll be creating an innovative revenue source for your association, a much needed member benefit and helping an unemployed or under-employed workforce get started in your industry. Digitec Interactive has been delivering association learning since 2003. Combining proven learning technology and our staff of in-house instructional designers to create apprenticeship learning journeys.